Individuals team up with a specialist to craft a personalized plan and be introduced to available services. 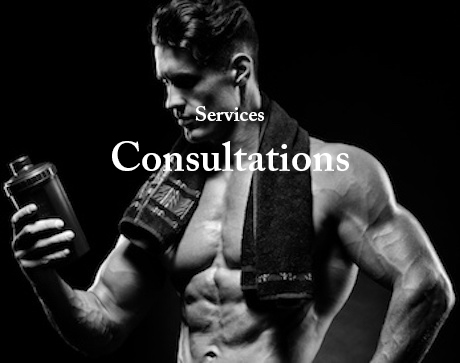 Our consulting services provide the one-on-one attention needed to achieve health and performance goals for individuals, businesses, sports teams, and other organizations. Consults cover areas such as nutrition, performance training, and facility design. All consults begin with our specialist building trust and seeking to understand individuals’ intentions to help them figure out what they want and why they want it. The main goal: to enable and empower individuals’ to reach their goals. Next, our specialists establish a baseline using assessments to create a clear picture of where the individual is starting his or her journey. Using assessment information and keeping the individual’s intention in mind, the specialist creates a personalized plan that includes strategies tied to attainable and incremental process goals. With the plan in place, the specialist addresses limitations, roadblocks, and concerns to ensure that the individual is comfortable with and confident in the steps he or she needs to take. After that the client begins working toward his or her goal as we continue to learn, reassess, adjust, and progress the plan.